`: Is It Easter Yet? The calendar on my refrigerator sets Easter at April 24. However, I usually don't need a calendar to tell me when Easter is near. For decades my dogwood trees have managed to blossom a week or less just before Easter. Their small, identical blooms of four white leaves open in announcement that Easter is right around the corner. To some, those blossoms, touched on each tip with a dab of red, hint about Jesus’ death and also the opening of His grave in preparation of His resurrection. Those little dogwood blooms appear in perfect replication perhaps to remind us that one perfect man—Jesus—dwelt on earth for a while. 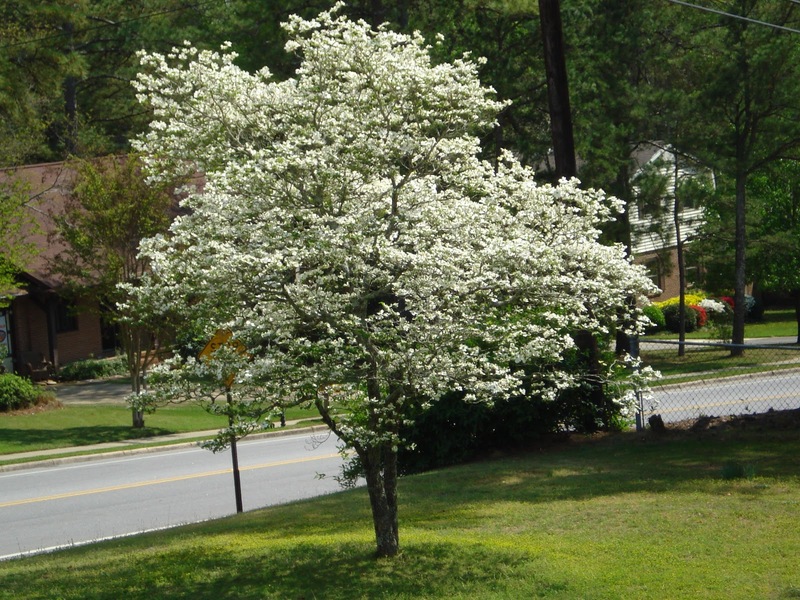 But this year all my dogwood trees jumped the gun and blossomed an entire month before Easter, not just a few days as in past years. This picture was taken near mid-March and we’re still enjoying its beauty. The dogwoods, azaleas, and wisteria mark the beginning of spring and all things new. I notice the neighborhood’s lawns as if time-lapse photography ran overnight and healthy green blades of grass have pushed through the browns of winter since the day before. Spring is a time of hope, renewal, new beginnings, second chances, and smiles just from leaving behind the doldrums of winter.